Are you an author who wants to sell more books? If so, there’s one game-changing strategy you can’t afford to ignore. Every single day, thousands of readers comb through Amazon searching for new books to buy. Sadly, as of right now, almost none of these people will ever find your book because it’s buried inside millions of options. Amazon Marketing Services, or AMS for short, allows you to get in front of readers who are actively searching for books like yours. With AMS, you can pay to make your book show up right next to similar books readers are already searching for. You can also market your book to people who are searching for certain keywords, such as, “sci-fi romance, vegetarian cookbook, real estate investing,” literally whatever you want. I’ve taught this strategy to bestselling authors such as Pat Flynn, Ted Dekker, L. Ron Hubbard’s team, and Jeff Goins. Now I want to teach YOU how to start using AMS like a pro in only 5 days. Click HERE to join my 5-Day AMS Course absolutely FREE. I’ve held nothing back in this free program. It’s everything you need to start selling more books on Amazon so you can afford to spend more time doing what you love — writing. Similar courses are selling right now for over $600. But you can join my 5-day AMS course absolutely FREE. Click HERE to enroll for instant access. I cannot believe that I received all this valuable training for free. People charge for this kind of training and you are giving it away for free which is kind and shows what kind of person you are. I have been to paid trainings that have not been half as informative as this one. When you serve others good things happen and that is why you are doing so well because of your giving spirit. I just happened to stumble upon your website and I am so glad I did. I even bought KDP rocket because of all the value you have provided. Thank you for your service and continued success. I am trying to decide whether to seek a publisher or self publish on Amazon, and after taking this I am now really excited to try these techniques! It made me feel like I really can do this. Thank you so much for putting it together and also for KDP Rocket (which I bought). WOW this course is truly amazing. Dave goes through each and every step you need to complete to start and manage your Amazon Ads campaign. I enjoyed each and every class and I would love to continue with deeper classes! Great job! Amazing. I just wish it was a bit slower so that I can practise step by step as I go along. The replay is very static. This course was exactly what I needed to explain how AMS advertising works in simple steps making every point completely clear. Thank you so much, it was perfect. This quick course gives you so much great information and it's easy to follow and understand. Nice work, Dave! Thanks! Clear and concise. This makes so much sense. I am moving my ad dollars to AMS. As a marketing professional, I've got extensive experience with direct response advertising, but no experience with AMS. This course gives you easy to understand and execute strategies for promoting your book. The sections on key words is exceptionally helpful. There are lot of key facts in this that I found very, very helpful. It is well worth the time. Also, it is exceptionally helpful to be an owner and user of KDPRocket. I had no idea that there would be so much help in getting my book sold. I am such a novice I will have to go back and revisit sections of the course to fully understand. Guys, this was awesome. I learned a ton, it was free, the resources were excellent and I even bought KDP rocket from it. Thank you..
Good info. Very helpful to set up an AMS campaign. Thank you. Thanks so much Dave. This course is clear, concise and simple to follow. Thank you for a great course! I learned so much! I wish I had access to this course before I burned my fingers and lost thousands of dollars on unnecessary marketing that lead me no where. When I started applying the lessons, the campaigns costs were within budget, and I saw big impact on sales with great ROI in few days. I am surprised how this course is for free, whereas other courses charge money for a course that is not as detailed as this one. Trust me ... I tried many of those courses. This course finally answered my questions on HOW to do AMS ads as opposed to "what" to do. For instance, I'd heard about A/B testing before, but no one explained how to do it and what to look for when monitoring the campaigns. But that's just the tip of the iceberg. Dave meticulously explains each step of the AMA ad-making experience, and now I have a reference to go back to whenever I need help. And it's free, folks. Dave is doing us writers a favor FOR FREE. And even though the KDP Rocket is a paid app, it is worth every penny because it truly does what Dave says it's going to do. It cuts down on hours, no, weeks of painstaking research. I can't thank Dave enough for this course. Excellent course. Very comprehensive and informative. Well laid out, easy to follow and understand. Thanks, Dave! I loved this course. So generous of Dave to share all this information with us. And in a way that was clear and approachable, even for a beginner like me. Of course, I bought KDP Rocket (who could resist? ), and I have been enjoying all its easy-to-use features, as well. Thanks so much! Courses that drone on and on bore me, and heavy analytics make my eyes roll back in my head. This course does NOT do any of that. Short episodes are power-packed with useful, specific information that makes it easy to ingest and digest and retain. It is exactly what I hoped it would be and what I would have hoped for had I known to do it! I was gun-shy about using KDP's AMS advertising after spending lots of money in the past on Google Ad words with not much ROI. This course has been excellent in helping me understand how to use the tool to get more sales on my books. Thanks, Dave, for offering this helpful information and especially for making it free. I am definitely spending the money to get your KDP Rocket tool as well. I truly appreciate Dave's knowledge, generosity and kind attitude. He has the patience of giving you the tool you need. Surely you find all of it on Amazon! However, articles are scattered, sometimes not very well written and there is always something missing from the explanations. Through this course you get enlightened. Now I have hope. However, since an earthling starts living when stops hoping, I pull myself together and start my campaign tomorrow. Thank you very much! What a great course. Found the information clearly laid out with lots of examples and step-by-step instructions to help authors on their way to attain visibility and profitability for their creative endeavours. Also very helpful having the course remember where you're up to when you have to stop and come back to it at a later date. I'm looking forward to putting what I've learnt into practice and also to using KDP Rocket for the first time. Thanks Dave for your time and generosity in sharing your expertise. I'll definitely be looking at more courses by Dave Chesson. using AMS for about 9 months, new author of 10 months, I learned a few tips and got more detail about how AMS actually works for a free course this was worth it. I know there is a lot more to this than a couple hours of video instruction, but this course helps define a lot of terms, techniques, and strategies for using AMS to see my book. This course has taught me a lot on how to market my book through Amazon. I would never have known that this app was capable of marketing your work on this level. I'm glad I was introduced to this course and hope to enjoy many more. Thank You! I am a novice when it comes to marketing anything. I found this free course extremely helpful and the Rocket software sales pitch is not in your face about it. Whether you purchase the software or not, you DO get an ample amount of knowledge of how AMS (Amazon Marketing Service) works. In addition, you receive great tips that do work for your book marketing. Thank you very much for this course! This is a full course, offered for free I might add, but it completely worth your viewing time. If you've not done AMS ads before, or even if you have and are experiencing trouble with them, I suggest this course. It really is a wealth of information for anyone thinking of dipping their toes into the AMS world of advertising. Valuable. Lessons are clear, concise, and well-thought out. Dave Chesson is a born presenter. Valuable. Lessons are clear, concise, and well-thought out. Dave is a born presenter. I absolutely needed this course and am amazed its free. Dave takes things slowly but covers a lot. Plus you can always go back and rewatch. You literally only have everything to gain. Dave is awesome. I really liked Dave's clear way of presenting AMS ads and how they should be run. Thoroughly organized and professional. He's clearly at the top of his game. I started in indie publishing in 2012, during the tailend of the Kindle goldrush. I did really well. But, since then, only a few of my books do well without any marketing. I'm lucky I have those, I know! But I needed to find a way to compete against all the authors who have actual marketing budgets, understand ads, do regular promos. The old promo tricks don't work anymore. I played with Amazon ads when they first came out. I lost money. I had a go again for a launch. I lost money. I had another go last Christmas - the Christmas period is always good, right? No. Within half an hour of studying this course, I finally understood the AMS dashboard. I could repeat the one campaign I'd cobbled together that worked - a bit - by pure dumb luck. I AB tested it, tweaked it, made it stronger. It worked. Since doing this course, I feel like I can breathe again. Thanks Dave. This course was great for the beginner. I've learned a lot and will be putting it to use asap. It´s an excellent course. Great content to create and manage AMS campaigns from scratch. Awesome Job Dave. Highly recommended. For months I've been Googling marketing strategies for my book. By far, this Kindlepreneur course has given me the best insight to the inner workings of Amazon marketing and how to create a dynamic ad campaign. It has motivated me to FINALLY start marketing and promoting my book! Thank you, Dave, for offering this amazing course for free. I took it and not only learned a lot, but found the confidence to try new marketing techniques for my self published ebooks. I also got the lifetime access to KDP Rocket, which really opened my eyes to valuable keywords and categories that fit my ebooks so much better. An amazing course! I've been terrified of even trying to run any AMS ads because I had no clue how it worked. I was one of those "I'm a writer not a marketer" authors. This course alone changed that. I now have 2 ads running and will be adjusting them and creating new ones today. Right after I go grab KDP Rocket! The time it is going to save me is priceless!!! I'll admit I was highly dubious about how good this course would prove to be. I knew that it would have to be related to selling something, and I was right, but I was also quite wrong. Yes, Dave would very much like for you to invest in his KDP Rocket program, however the course is extremely detailed, easy to understand and just plain invaluable in terms of learning and using ads on Amazon. I also think the KDP Rocket app could prove to be highly useful. I am not quite ready to start up an ad campaign yet, but when I do I plan on investing in KDP Rocket. Kindlepreneur Courses on Book Marketing is the advanced course for Authors . The Course is divided into 5 parts step by step video presentations and with Notes and Quiz . Its well presented I love the course and very thankful to AMS Kindlepreneur Team and Mr Dave Chesson for helping Authors and professionals to get right knowledge about –Book Marketing . Fantastic course which was well laid out and the content presented clearly and satisfactorily . Thanks to Mr Dave Chesson once again for his mastery of content . As a complete beginner to AMS and book marketing in general, this course is a perfect introduction to the subject. It is at the right pace and easy to follow. What I also like are the little extras along the way. For example I am doing the course because in a couple of months I will have completed a 3 book military sci fi series so I will want to market it. This course suggested I leverage my ads so that I am marketing not just, say, the first book, but also the series and possibly an email list and different forms of the book at the same time and maybe anything else I have in the same genre. Great idea. Looking forward to the rest of the course. Dave Chesson's course is an excellent introduction to the world of AMS. I knew absolutely nothing before I took the course, and now I feel very well informed! The course is detailed, well explained and covers all the most important areas. And it's free! Thanks, Dave! Game changer. Most informative information out there regarding how to increase your Amazon KDP sales. I am finding it hard to make my AMS ads work well for me and the course really helped me sort out how to improve the them. Plus he makes it easy to follow! Unlike some other courses which stretch the time with filler, giving extra examples and restating the same points, this course used only as much description as needed to illustrate a point and then quickly and carefully got to the actionable information one needs. AMS is really intimidating and complicated. This explains it and breaks it down into manageable steps. Excellent! This is a fantastic course! Unbelievable that it's free! An amazing resource and perfect for anyone getting started with AMS ads. Thank you so much for this training! I'm a fan of Kindlepreneur and value the quality of the advice and how you don't sit through an hour of talking to get twenty minutes of actual material. The AMS course may be the most helpful item yet! Thanks for all you do to help authors build their passion into a business. Every serious author must be aware of the information in this course. Dave's concise information and proven actions will increase the exposure and profitability of your commercial product. How you use it and act upon it is up to you. But even if you just do the minimum of KDP Rocket, keywords and a campaign you give your book a better chance in the world of Kindle's 4 million titles. The best reason why to snag KDP Rocket ASAP! Then is there all the help in finding keywords and building a campaign and copy around them. This is an incredible and insightful guide into using Amazon to advertise. Dave has done a great job to spell it out and make it accessible. I can't wait to get started! A very clear and straightforward explanation of a complex topic, with easy-to-follow guidance. I have KDP rocket and this course really got me launched (ahem) on setting up AMS ads, analyzing the results, and refining. If you have never done an AMS ad, this will get you rolling fast.The course demystifies AMS and puts it in simple terms. I bought KDP Rocket and don't know what I would do without it. In the course, Dave teaches you how to do keyword analysis manually, but who has the time or patience for that! KDP Rocket looks up keywords in the blink of an eye. After I completed my keyword searches and compiled 300 meaningful keywords, I opened up the course and went to the portion where he shows you step by step how to do the ad. I logged into AMS and went back and forth between the course and AMS. Had Product and Sponsored Ads created in no time. Thank you sooo much Dave. Your course, blog and KDP Rocket are amazing resources, especially for me on a shoe string budget. I've spent hours in Facebook groups and on Google trying to learn about Amazon click ads. This course addressed all of my questions and one's I didn't even know I had. Superb. I've learned TONS of new stuff through this small, simple course! Thank you SO much for giving it to us for free! The knowledge I've gained is invaluable! Thanks so much for this wonderful course. I really learnt so much that I never knew before. it will help me make maximum use of of the KDPRocket that I just bought. I took a course in kindle publishing business almost two years ago and followed all the instructions and published three books thereafter. Because I didn't know how to market the proper way, they (the books) have not done well at all. I have decided to implement what I have learnt so far here and from your blog and Youtube channels and resurrect my interest in kindle publishing. I am really excited with what the future holds for me. Easy to follow and chock full of valuable information. Well worth the investment of time. I learned an incredible amount and was able to put it to use before even finishing the course. Well done Kindlepreneur! Clear, informative, and easy to understand instructions for advertising books on Amazon. The course provides an overall view on the subject that is especially useful to first time authors and advertising newbies as well as valuable information for authors who are struggling with creating effective Amazon book ads. I've been wallowing around Amazon for the better part of 3 years. I wish I'd taken this course a long time ago and one of the best things I've done is to buy KDPRocket. I spent many hours over those years "researching" categories to try to find my way "in" and for under $100 I not only have the software that does it at the touch of a button but I also benefit from the videos and tutorials that Dave provides. Thank you Dave for your invaluable help! Continued success! Very helpful and well organized course. Great content and beneficial explanations. Thank you! Thorough and well-done lesson plan. This is exactly what I was looking for. The best course ever. I watched it and enjoyed the way it is set up. Very precise and never redundant, which is very important as this way I did not spend more time than necessary. I like also the speed as it gave me opportunity to take notes and to understand every single word. Thank again for this course. Brilliant clear explanations of the different types of advertisement available and excellent videos on how to set them up and monitor them. I really loved it! So simple and easy to understand. Thanks a lot Dave, you're a life saver! God Bless! Thanks for demystifying AMZ methods and terminolgy. FABULOUS & very helpful course especially for the dummy newbie. I would give it 11 but can only give you a well-deserved 5 stars. Thank you so much, Dave. Outstanding. Walks you through the process step by step and gives you the strategy and insight to tailor the approach to meet your goals. I've tried reading books and articles, even took another course. This one finally helped me see the light. Thanks, Dave! I highly recommend this course. It has changed the way I market on Amazon--and in just a few short days--I have seen an improvement in sales and in the volume of pages read. Having read Brian Meeks book on amazon ads, a lot of this information was not new to me. Regardless, I found it to be an excellent guide that walks the user through the process-- both of understanding how they work, and how to set them up. I will be revisiting a few of the modules when I do my next round of AMS ads. Yesterday I was too afraid to try any marketing strategies whatsoever, but today I just can't wait to try them all. Thank you so much Dave for the awesome course. First, I'd like to be able to review some of the sessions, but find that I'm locked out after "completing" them. Second, Dave is super knowledgeable and nice guy...but...the forest gets lost for the trees. The most helpful suggestion I might make is to create a methodology map that the viewer can use to keep track of which step Dave is on while the myriad spreadsheets are displayed. There is a lot of behind the scenes work implied that isn't shown...work that is time-consuming and subjective. Take a moment to frame it out in terms of purpose and tips on how would be helpful and keep the viewer engaged. Other than that, it's a fine course. I have used AMS ads in the past and the lack of visibility into what I need to do to get served up by Amazon has been frustrating. Until I can see more timely information from AMS on how my ads are doing (i.e., sales), I probably won't be using AMS. It's too much of a dark hole into which my money has flowed already. The cost of learning is high and the experimentation has been hit and miss. However, I will say that this course demystifies some of it. Once I start building up some cash reserves, I may go back into AMS for another try. This is a no-nonsense course about advertising with Amazon. I highly recommend it for authors wishing to promote their books. The world of advertising scares the bejezus out of me, but this course gives me hope that I can not only learn to understand it, but learn how to work within it. The course breaks down advertising on Amazon into manageable and understandable steps. Even though I work with Google AdWords and Facebook Ads I had no clue as to how AMS Ads worked... until I took this course. Dave walks us through the basics all the way to some advanced stuff. Sure there were some moments that I could relate the tactics back to AdWords but there a lot of Ah-Ha moments too. Thank you, Dave, for sharing your experience with AMS Ads and getting us all up to speed on how to use them. I highly recommend this course for those authors who have never put together an AMS campaign and for those who have. The videos brim with insightful tips and easy to follow examples. Being a Free course, I had fully expected to get annoyed by on-my-face self-promotion. I was pleasantly surprised. Although Dave refers to his useful product, he does not oversell it. Classy! I liked that. I was so impressed by this course, particularly as it is free! It was professional, informative, useful, hit all the right points and took it on a perfect gradient. AMS has a lot to get used to and I now feel I have an excellent grounding in how to use it, know what I know and don't know and really am aware of what I need to do as the next steps to make them worth while. Thank you very much! Love the details that Dav covered in the video. Thanks a million! I was very impressed with this course. I have a lot of confidence now in knowing how to market my book. I especially liked the structured approach to compiling Key Words. I don't think I need to use KD Rocket because I can do that work myself, however it is also a great product that is advertised in the course. Thank you for this course, I highly recommend it to anyone who takes self publishing seriously but wants to learn more. This course is amazing. It's packed with instructions to begin advertising on Amazon successfully. Frankly, Dave could charge quite a bit for this course-- it's exceptional-- but he chooses not to do so. I've used what I have learned to create AMS ads and start seeing sales. Thank you, Dave! Kindlepreneur with Dave Chesson has helped me see what Amazon Marketing is all about, and how to use ad campaigns effectively. Very informative. Very informative lessons that were super easy to understand. I am not as nervous to jump into the AMS advertising now that I feel I have a better understanding as to what I need to do and what Amazon looks for in advertising. I am also excited to try out KDPRocket after hearing what the process would have been like if I had to go through Amazon search. I'm only in the early stages and I can already tell this course's quality and well-paced content will be well worth my time. I took this course a while back on Udemy and I am now taking it again as a refresher. Approaching Amazon AMS on your own is quite overwhelming...you don't know where to start and Amazon doesn't give you much help. I searched Udemy and found Dave's course for free and started taking it. (I am a former Navy nuke like Dave!) I immediately started seeing results. My memoir is in a difficult category. I am competing against books like American Sniper and The Operator...well...I started selling A LOT of books and raking right with them using Dave's AMS techniques. I highly recommend this course and KDP Rocket. KDP Rocket allows you to input enough keywords to rank with the massive bestsellers! Thanks, Dave! Lot of excellent information. Can definitely apply what I learned. Wow. This was an excellent course. It really drilled down into the details of what an ad campaign in AMS is and how to make the best of it. Enjoyed the entire course. Very informative and it did not take a lot of time. Definitely gave me terrific insight on how to manage my advertising my book. Unbelievably easy to follow. Thanks a lot! I have been working with Amazon Adds for around 12 months. Initially I was just experimenting intermittently. In the past couple of months, I became serious and started to track my results in an Access database. I have gradually been able to work out what's happening under the hood of AMS but this course could have saved me a lot of time. It's clear and well put together. I only came across it because I purchased KDP Rocket - combining the course and KDP Rocket is probably the best investment I have made in my book publishing. Totally informative course. Clear, concise and uncluttered. No time wasting or fluffing about here. The course is directly targeted and met my needs as a new author exactly. I know, without a doubt, that I will be back to refer to some of this valuable material time and time again. Do yourself a favour, spend a few minutes watching the very first episode of the course, and see for yourself. You have nothing to lose, and everything to gain. This is a thorough walk through of the basics of using Amazon Marketing Services. And Dave throws in enough advanced thinking to make this the only course you need to start your journey with AMS. I recommend this to everyone wanting to sell their books. The next logical step after publishing. This course gave me all the behind-the-scenes information on how AMS and Amazon’s algorithms actually work. I have followed it to the T and am waiting for the campaigns to properly kick in to assess any growth in sales. It was quite time consuming without KDPRocket so I’m trusting my sales will improve enough to afford me buying it before it hits subs mode! Fingers crossed! I didn't know much about ads before watching this, but I've learned a lot! I highly recommend this course for people who are just starting with Amazon advertising. It was a great help as I will be starting my AMS campaign soon and I was looking for training on how to make a good campaign and didn't want to take shots in the dark hoping that something will hit and take off. I picked up KDP Rocket a few weeks ago. This course really helped me learn to get the most out of it. Definitely worth the time. Learned a lot in a brief period of time. It's good to have something like this with Amazon Ads, which feels kinda isolating and like your lost when you're doing it solo. After six years of indie publishing and 10 books out there, I've learned that you need more than just well-loved books with great covers and descriptions if you want to make a living at this. You have to have a way to get them in front of a lot of people. That's where AMS ads come in. Without this course, I was clueless on how to set up and maintain AMS ads. With it, sales have already increased, and I'm just getting started! Thanks so much for this, KDP Rocket, and all the great resources on Kindelpreuner. This course was worth the time. I learned more than I expected and it cleared up several questions. Dave stresses that AMS requires effort to be successful. I suspect most authors don't spend more than an hour or two setting up their campaigns and end up disappointed as a result. This is fantastic... very helpful for a newbie, and an excellent review for more experienced AMS advertisers to optimize ad campaigns. I have learned just how much more you can do with the AMS ads from this course (a lot!). I used to find doing the ad part of self-publishing kinda boring and tedious, but I've just launched a couple of new ads with the new knowledge and it was enjoyable. It's nice to know the info from this course since you can keep the distribution rights to your books (instead of giving them away in despair to some small publisher who does know this stuff!). This course is really well put together in short segments with clear demonstrations. Even though I have a lot of experience with AMS ads, I am finding the course REALLY useful. Good job! I've been using AMS for a while and this course provided new information I hadn't heard before. Very easy to navigate and concise information that didn't waste my time. Best resource I've seen on AMS so far. I wish there had been more specific discussion on optimization. For example what is a reasonable number of clicks to impressions or clicks per sale. When should keywords be paused and why- I believe the modules mentioned they would review pausing keywords but I didn't find that info. Although I would have liked more optimization discussion, overall this is a comprehensive and excellent guide. Very well thought out and instructive course on AMS keywords. Easy to follow and very helpful. This course is an indispensable guide to AMS ads for the indie author. Highly recommended! I found this course incredibly useful. I had tried AMS ads before, but they didn't really pay off. Having taken this course, I feel I've got a better handle on the monitoring side of things. There is an advert for KDP Rocket (which, I have to admit, would be really useful for finding keywords etc), but it's not intrusive. Overall, it's a brilliant course. Thanks Kindlepreneur. Okay, well, comparing Amazon Advertisements for Books to a fidget spinner really is like comparing apples to monkeys, but you can learn a lot from both (fidget spinners can teach you physics; Amazon Advertisements for Books can teach you AMS marketing), and the AMS course is certainly more thorough about what it teaches than a fidget spinner might teach someone about science. So, my claim that it's "better than a fidget spinner" stands! Seriously, though, I think this is a well-constructed, straightforward course that, even though it thinly veils as a sales pitch for KDP Rocket (a product worth the hype and investment, I may add), it does enough to serve as a teachable course that even those who don't get the program will still know how to make the most of AMS Ads. It's very frank about the amount of time a campaign will take to construct with or without KDP Rocket (KDP Rocket wins this round, by the way), but it makes sure to cover how to create a viable AMS campaign in either situation. Fortunately, we don't have to watch Mr. Kindlepreneur spend all of those hours manually keyword-hunting on screen. This isn't Lord of the Rings, so it shouldn't share in the same video run time. He does, however, show how quickly KDP Rocket can do the same legwork, which fits within about 10 seconds of video time. Ten seconds versus three hours (or however long it would take to do the same work manually) is pretty impressive. This doesn't mean he leaves out examples on how to keyword-search, though. He does walk you through the process for the first keyword. Then he moves on. He doesn't want to waste your time, or mine, so he doesn't do it again with the second, third, or three hundredth keyword. Again, this isn't Lord of the Rings. But I digress. This course covers all of the essentials. It also echos the sentiments that those running a campaign may have about Amazon's success report frequency, statistics on day-to-day changes. It doesn't attempt to hide the flaws that AMS has, but it does offer solutions to get around the inherent problems. Maybe one day we'll see a program that tracks these impression, cost-per-click, actual click numbers, etc. in real time and stores them for a specific date range, giving graphs and all the goodies--we can only hope--but that day isn't here yet, so this course shows how to compensate in its absence for now. It also comes with notes and quizzes for those who forget things quickly and easily (like me), so it's harder to forget the lessons it teaches. There's still plenty in this course that I'll want to review it again before I submit an AMS campaign, but it's short enough (and the notes conveniently accessible enough) that I won't have trouble finding my way around quickly and pointedly when that time comes. How it compares to other courses like it, I couldn't say for sure, as I've got only one other, and I haven't gotten all the way through it yet, but this one's free, so I can say that the education it gives goes way above and beyond the price you're paying for it. The only sacrifice here is time, and it's time well worth spent on a Saturday or Sunday afternoon after the chores are done and the coffee is brewed and the kids are at their friends' houses playing video games. I believe the whole thing is shorter than your average Hollywood movie, and probably packs a lot more useful information, too. Heck, you might even discover your next favorite book, as the course certainly highlights a few good reads. Again, it's free. You might as well give it a shot. It was worth my time. I found this to be very helpful. It was succinct and gave me enough information to launch my first ad campaign for one of my books. Sometimes too much information can be daunting. This was just right. Dave's delivery is easy to understand and genuine. He gives real, actionable information and only at the end mentions KDP Rocket, which I did purchase and did use. I would definitely recommend this to anyone who is thinking of writing or has written a book and doesn't know it needs to be marketed or how to market it. Very informative and a great crash-course in AMS. In depth, easy to follow and plenty of great pro tips and insights. Thank you Dave! Very comprehensive and concise course which others would had asked you to pay. I didn't realise that a cost per click (CPC) was not the only factor involved in getting impressions on Amazon. This course had made me rethink all my ads. I loved this course and it's tripled my AMS sales. I'm still working on refining the techniques, but it's done wonders for me and I recommended for any author. I had no idea what I was doing until I stumbled on Dave Chesson's brilliant course. Amazon advertising is nowhere as easy as it seems and I've sold plenty of books of the back of this course by following his instructions! Recommended! In all my years of taking writing courses, attending seminars, hearing talks on promotion, I have never received the down-to-earth, practical, and detailed information contained in this course. It isn't about writing; it's about promotion, specifically promotion via Amazon ads. And how to get the attention of readers searching for a particular kind of book. Every author, self-published or commercially published (I'm both), can benefit from the wealth of knowledge and step-by-step instruction offered here. The help is truly invaluable. And it's offered at no cost! I'm deeply grateful for it and can't wait to put what I learned here into practice. You can be a terrific writer, but without the right sort of promotion to get your book noticed, it won't matter how good the writing is. Dave is to be highly commended for making this course and his wonderfully informative web site available. Not having any experience with AMS, I think this is a great course on the topic. It certainly wet my appetite for giving Amazon advertising a try, and now I have a pretty good idea of how to make it work. Thanks! This 'seemingly' short course packs a punch with enough information to get you started on Amazon ads. Loved the byte-sized videos that give you a look at the what, why, how, when and where of the AMS system. The value for money part (although it's free), for someone who is familiar with ad campaigns, is definitely Module 3 -- finding and targeting relevant and keywords. The longish videos in this section show you how to do just that in a "onscreen testing done for you" style tutorials. You can use this to come up with clickable ads for not just books, but other products as well. Thanks, Dave for creating this no fluff, all useful content material. I don't usually give things a 5 star review, but in this case I can't think of a reason for not giving a 5 star review. I not only found it well put together, but an altogether excellent read. I have gone through the entire course and have saved the worksheets to my computer. I fully intend to start over, not to just watch the videos and read the worksheets, but to apply what I have learned. This course really showed me not just somebody's bank account from selling books, but showed actual techniques. In fact, in my opinion, it pulled back the mystique of Amazon Marketing Services and opened my eyes to the the opportunity. More than that it showed me how I can take advantage of the program. I have written books that receive 4 and 5 star reviews, but I haven't known how to get my books to take off. I now have a working plan that I can use. I am very excited about it. Thanks Dave Chesson and Kindlepreneur! The information was comprehensive and gave me value. It was all applicable. I used it and made money. That is the bottom line for me. I appreciate the information and want to continue to learn more ways to make money with my books. I really got a lot of insight from reading this book by Dave Chesson. There were some very good points he made through out the book, and I am very glad I took the time to read it. This course is fabulous. Thanks Dave for putting so much effort into a FREE course. I'd still like to know more. Feels like this is just the beginning. This is an outstanding course for authors and is well worth the time to take it. Dave Chesson has done a great service to the author community by providing this course free. This is a very good course for marketing Kindle Books. I wish that the creator of this comes up with advanced series of this free course of even a better and deeper understanding of AMS. All this training for free? It's easily a $200+ value, given away for free. Thank you Dave! If you're like me, most authors enjoy writing books and not the marketing of them. Unfortunately, in today's highly competitive indie publishing world, learning how to market your book effectively is a necessary evil if you want to make money. Amazon is the leading seller of books, representing something like 70% of the market share. The Amazon Advertisements for Books course gives you what you need to know to give your book the best chance at becoming a best seller. Of course, it helps if you have the right tool as well. Which is why I also purchased KDP Rocket. I highly recommend this course to anyone who has taken the time to write a book and now wants to make money by selling it. Thanks, Dave. Very good tutorial and I just practiced it now. Even though the selling is slow. I already knew that I wanted to write more generate income from doing so, although I wasn’t really sure what to expect from sell via Kindle and Amazon, mainly due to some of the claims in book I have read which seem rather unreal. I saw KDPRocket and thought, okay he offer a guarantee so let’s give it a try and boy, am I glad I invested. After getting into Dave's mind set, and how he uses this tool I soon saw the potential and I quickly became convinced I could generate ongoing Kindle income and from my writing. It was only then did I discover his well thought out and presented (FREE) AMS advertising course which for me was the icing on the cake and have watched it in its entirety twice and as a result I will be starting and testing a new AMS campaign very shortly. Dave has thought this course out very thoroughly and is a good teacher which makes understanding and mastering this subject both fun and easy. I would say that this course is essential reading for anyone who wants to generate income from Kindle. This course has all of the information you need to get yourself on the fast track to mastering AMS. The information is discussed thoroughly and the videos gave me a visual aid to better understand the steps I need to take. The tests helped me to reinforce the information I'd learned and the notes will help me as I leave the "learning nest" and begin to put what I've learned into action. I've already started to test out keywords with KDP Rocket and I'm almost ready to begin my first campaign. Take this training (and get KDP Rocket, if you haven't already) as soon as you can. NOW! I try not to overstate things and tend to keep my reviews and ratings balanced, but this course was an all-out success as far as I'm concerned. I've taken a lot of webinars and online trainings, but this was something altogether different and better. I had been playing around with KDP Rocket and slowly learning the types of things that work, but this training opened my eyes to the possibilities not only of KDP Rocket but AMS ads in general. I'm looking forward to diving into my books and boosting their visibility and hopefully finding the keywords that'll make them sell even better than they have been so far. If you do more trainings like this, Dave, I'll be sure to sign up. Excellent course for anyone wanting to know more about advertising with AMS! Really helpful information, much of which I haven't heard anywhere else. I've always let Amazon target the ads and had acceptable ROI, but am now looking forward to targeting them myself and comparing results. Very detailed and informative. It greatly improved my understanding of Amazon Marketing for books. A must-see for anyone in the business. The only thing I did not like about this course, is finding out I was previously doing everything wrong. This is a spectacular source of information. I've run ads before with little results. After completing this course, I see what I was doing wrong. I can't wait to give the tools and suggestions a try. And that KDP Rocket is such a bargain to save so many hours of work. I have to date nine published novels, this software will save me a hours of work. This is a top notch course on how AMS works and how to best set it up for optimum results. Dave really knows kindle publishing and AMS, and goes all out by sharing all of his knowledge and experience. Incredible course, I just can't say enough about it. Highly recommended. This is an excellent overview of Amazon ads with a few bonuses and ideas I have not seen in any other webinars, videos or courses. Dave obviously knows his stuff and I will not only be following everything he says to create ads, but telling all my author friends about this great course. Great course, presented in a clear and concise manner. Very informative with detailed video. Highly recommend it and will come back to this often to keep it fresh in my mind! Excellent. Very clear, but later sections giving "advanced" information should be reviewed several times by readers. This course is suitable for those new to AMS as well as those who have more knowledge - the gem that makes it really worthwhile are the last two parts of the course where you learn how to really amp up your results. I would highly recommend this course for anyone interested in getting a good ROI on their AMS campaigns. Best course I've taken for AMS ads. Dave with step-by-step instructions made everything easy to understand. Good foundation for me to get started using AMS ads. This was a well-laid out, organized course with some very helpful tips on doing AMS ads. 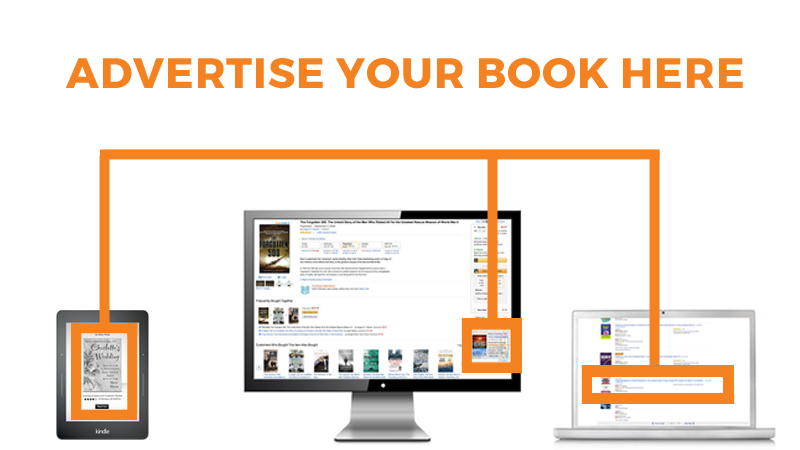 Easy steps to far greater, more profitable results for your book through Amazon Marketing Services. Can't wait to get started! This is a fantastic course with in-depth instructions on setting up and optimising Amazon ads. I've paid a lot of money to other courses to get this same information so thank you Kindlepreneur for offering such insight without a heavy price tag. I have since invested in KDP Rocket and I'm already seeing great results from that tool. I highly recommend this course. Legend! It is absolutely fantastic. You have done a good job on the topic, "AMS". I really like the way the course is organized. I am waiting to implement it for my debut novel, 'Battle of the Spheres'. This course is a must to do for anyone who is a naive in AMS in the KDP from Amazon. Thank you, Dave, for your professionalism, interest and didactic. Weirdly I had been searching the web for information on AMS the day I received an invitation from Dave Chesson to take this course. The course answered every question I'd been looking for answers to and more. I had tried a couple of AMS ads before taking this course with unimpressive results. My most "successful" campaign ran for one month and yielded 2,500 impressions, 4 clicks, and no sales. Following what I learned from the course, I set up two new campaigns. The best one had over 7,000 impressions during the first two days! It's now over 10,000. So the course had definitely made a difference in the number of impressions and my bids are far lower than what I had used previously. I'm still not getting clicks, only 3 total so far with both campaigns so I'm going to try the A/B testing techniques covered in the course to try to sort that out. I'm assuming either my ad copy or possibly my book cover isn't tempting anyone to click and take a look at the book. I did purchase KDP Rocket. I felt that since Dave was kind enough to provide the training for free, buying the software was the least I could do to show my appreciation. What I found out right away is that KDP Rocket is amazing and a must have tool for AMS ad campaigns. Thanks, Dave. Awesome course with information I can really use. I didn't think I had anything more to learn about AMS. I was wrong. I have never considered grouping but Dave's logic is overwhelming. Ditto A/B testing in the form shown. I have done it, but using the "seat of my pants" version whereas the method described in the course is far more precise. The information in this course is first-rate and in my opinion superior to the paid courses available. Rocket looks to be great value. I've seen hundreds of free offers, lead generation tools and content marketing online in the past dozen years. This course... this FREE course stands out. I have paid hundreds of dollars for similar courses of lesser value. Amazingly, these paid courses were also less organized and polished. Dave, if you ever need a video testimonial, lead or other other resource, don't hesitate. I owe you. I've been using AMS ads off and on for months without much of a game plan. This helped me map out exactly what to do with AMS ads in order to get sales. I especially loved the idea of browsing GoodReads lists to find keywords. Great tip! The only thing I didn't really care for is hawking KDP Rocket at the end. I get why it was done (you gotta make money somewhere), but it seemed tacky. I've been using AMS for about 2 or 3 months now, and while I have had some pretty decent success, understanding the ins and outs of it all has been difficult, especially with finding reliable, consistent information. This course was very helpful. I wish this training had come out two months ago. I've just bought an expensive course on AMS, and here you offer the same information for FREE!!! in fact you offer more ideas! WOW!! I've done the course and would highly recommend it for anyone who wants to get immersed into AMS ads. I'm now going to try your way of doing things and compare it to my expensive course and see what results I get. I bought KDP Rocket some time ago and it is WELL worth the money and is an effective time saver. This was great! Job well done in outlining the entire process in using the new feature in KDPRocket AMS Keyword Search. Easy to follow and easy to digest all of the information discussed. I can't wait to see the full benefit this information will have on my book sales on Amazon! Dave is simply the coolest dude in the Self-Publishing, education universe! The course is well thought out, well written, and well presented. I've been struggling with my Amazon ads lately, having just jumped in head first. They had loads of impressions, few clicks, and basically NO conversions. Now I know why. Back to the drawing board, but with some brand new pencils, and a hell of a lot better strategy. Thanks Dave! I'm Dave and when I am not sipping tea with princesses or chasing the Boogey man out of closets, I'm a Kindlepreneur and digital marketing nut - it's my career, hobby and passion. Other than leading the largest and most popular website on Book Marketing, Kindlepreneur, I've consulted and helped create AMS Ads for NYT bestselling authors like Ted Dekker, as well as Pat Flynn, Jeff Goins, and more. So, enroll in the absolutely free, no spam or gimmick course, and not only learn how to create profitable AMS campaigns, but also watch as I create campaigns for some of the biggest authors in the industry. 1.2 What are AMS Ads?